One of the busiest seasons for SportChek is when hockey returns in the fall. This campaign was designed to speak to competitive level players who are returning to their camps and teams in the fall. The idea was to show how all of their hard work in the summer would translate directly to the ice. It was an opportunity to show hockey equipment along with the training apparel component as well. Given the nature of the split images, Instagram's slides feature was leveraged to display each half at one time and allow the user to swipe between them. Imagery was featured across the entire SportChek.com website as banners and promotional spots. To reach our target audience of hockey players and enthusiasts, digital ads were places on related third-party websites, including take-overs of NHL.com and TSN.ca websites. 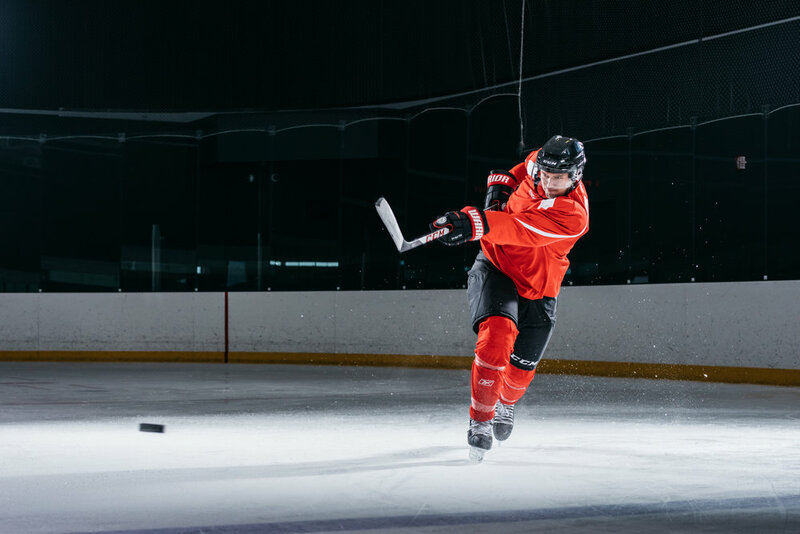 Hockey is a large part of SportChek's business and here are some examples of non-campaign related content I captured for use throughout the year to promote hockey.